Temperatures this far south, as well as the extreme cold gripping much of eastern Canada this week, leave no doubt that we’re deep in the heart of winter. Because of this, my thoughts turn toward skiing, ice skating, hockey and other winter recreations and the many places above the 49th parallel — among them Banff, Quebec, Whistler, the Laurentians and Jasper — that are popular destinations for cold weather and snowy pastimes. So, I thought I’d share some retro travel ads and posters touting these places and this season’s activities. 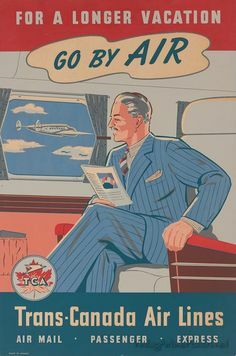 Many of these are from the Canadian Pacific Railway, which engaged in a wide range of travel promotions for locations throughout Canada (and beyond). The vivid graphics work their magic by conveying visions of boundless wintry pleasures. Among the more distinctive of these works are those by Peter Ewart and Roger Couillard, two of the more notable artists commissioned for their attractive illustrations. More Canadian Pacific travel posters may be seen here on an earlier O’Canada Blog post.